Dr David Scott received his BA and DPhil from the University of York. He then taught at York and Leeds universities before joining the History of Parliament, London, where he is now a Senior Research Fellow on the 1640-1660 section. Among other appointments, he has been a Visiting Fellow at Yale University, and Senior Research Associate of Peterhouse, University of Cambridge. 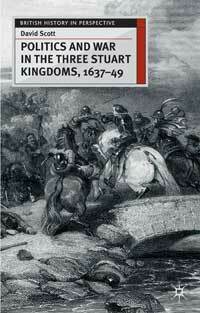 He has researched and written extensively on the political and religious history of Stuart Britain, and his books include a study of the British Civil Wars of the seventeenth century, Politics and War in the Three Stuart Kingdoms (Palgrave, 2004), which was named by the Sunday Telegraph as one of its Books of the Year for 2004. He is a regular reviewer for the London press. 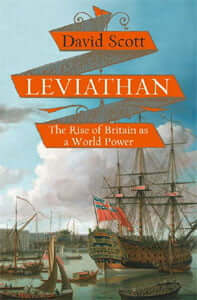 His current research includes a study of the rise of the British state, entitled Early Modern Britain and the Birth of Leviathan, 1485-1783, to be published by HarperCollins. He lives in Oxford.